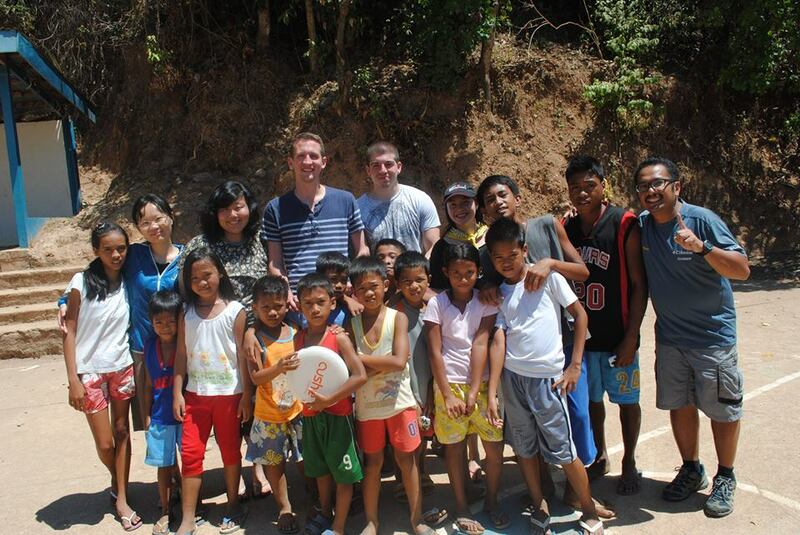 Five Hopkins-Nanjing Center students visited the Philippines to assist the residents of Maricaban. Over spring break, five Hopkins-Nanjing Center students visited the Philippines to assist the residents of a small town affected by Typhoon Yolanda. The typhoon occurred six months ago, but significant damage is still adversely affecting communities throughout the country. HNC student Nicole Alter, who has Filipino heritage, has been a leading voice on campus in organizing fundraising and spreading awareness since the typhoon last November. Funds raised by Alter and donated by HNC students and faculty have assisted in disaster relief. For spring break, Alter decided that more needed to be done and led a group of HNC students to a small town called Maricaban in the Philippines’ Coron province. Alter has family and friends who were affected by the storm. Her friend, Tomas Leanor, is highly active in delivering essential supplies and educating youth in affected areas. Leanor runs an organization called Air Juan which provides supplies to needy areas in the Philippines. Air Juan operates independently of the government and is not affiliated with an NGO. Leanor has borrowed a helicopter which he uses to traverse the Philippines with needed supplies. Relief efforts, particularly in remote areas, have been hampered by corruption, waste and inefficiency. Underdeveloped infrastructure throughout the country makes distribution difficult. Food filled in warehouses has been left undistributed for months on end. In places like Maricaban, where the local hospital that offers substandard medical care is more than an hour away, modern medical supplies are in high demand. Waiting for the government to take action has proven to be insufficient, and independent organizations like Air Juan therefore do the most good. Leanor, who hails from Manila, is in Maricaban teaching the town’s 300 kids about sustainability, environmental protection, hygiene and safety. He hopes these lessons will result in lasting improvement in peoples’ lives. The main goal of the HNC students was to help Leanor in this endeavor. Using funds raised at the HNC, the students were able to provide a year’s worth of school supplies to teachers who had been buying stationary out of pocket. HNC students also bought toys from Taobao, the Chinese equivalent to eBay. The children had been playing with unsanitary and potentially dangerous items, such as discarded tires. HNC student Wu Meijuan, a three-year veteran of the Amity Foundation, has had experience in disaster relief. Meijuan was surprised how happy the local people remained. She said that a disaster relief worker’s first requirement is to have an open mind and to assist people with what they need rather than interrupt their lives. The local people and especially the children remained optimistic and joyful, and Meijuan’s goal was to assist them in that. In the true spirit of cooperation and understanding, the multicultural effort created a positive response. In remote Maricaban, issues of international politics were generally forgotten. In regards to humanitarian aid, the Chinese government, representing the world’s second largest GDP, has been widely criticized for a lack of significant contributions. Meijuan believes the Chinese government ought to have given more humanitarian aid and that it wasted an opportunity to improve bilateral relations. With this thought in mind, Meijuan and the other HNC students worked hard to help the local people. Meijuan believes the most tangible action international relief workers can take is to understand the local situation. While material aid may be hard to come by, at least workers there can learn something about what is going on and raise awareness. She believes the local people helped her more than she helped them, by teaching her how to enjoy life without conditions. If you would like learn more or contribute, please visit Tomas’ Air Juan page on facebook: facebook.com/AirJuanAidDrop. Just to clarify, Nicole Alter did not have family who was affected by the storm, but family friends* who inspired her to organize relief efforts.